If anyone knows me knows how bad I've wanted to break into magazines through Teen Vogue and I finally have the opportunity. I could cry. 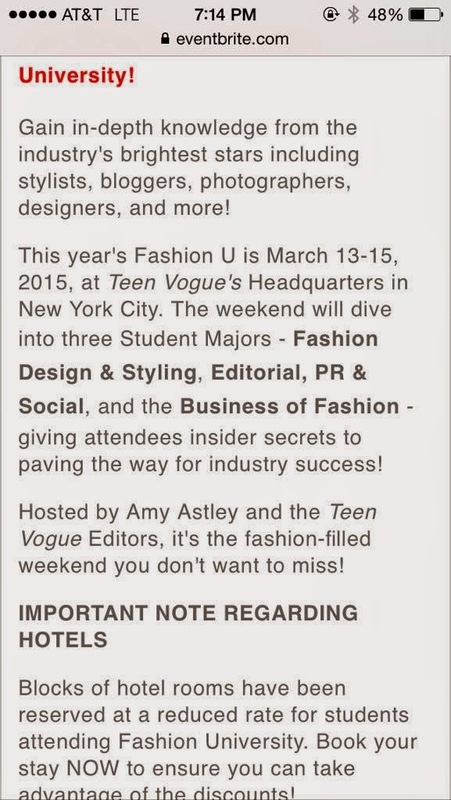 I have been accepted to attend Fashion University in New York City March 13th - 15th! I can't even hide my excitement. I applied on a whim thinking that if I get it than it would be a wonderful experience, but I wasn't getting my hopes up. 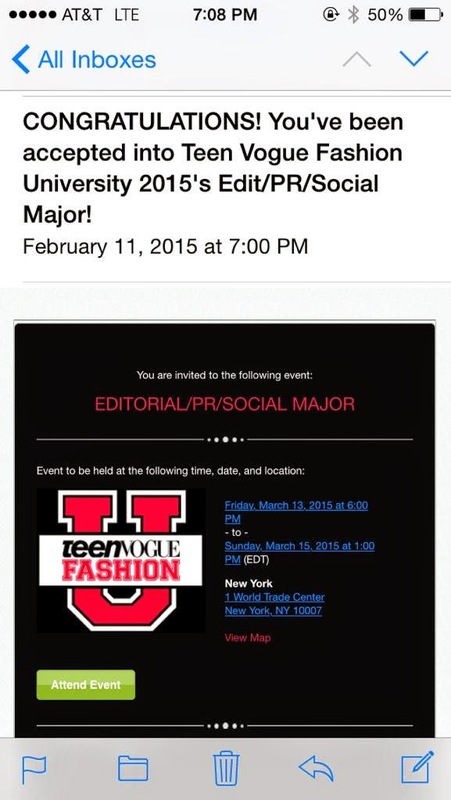 Less than twenty-four hours I was accepted to attend one of the most prestigious and once in a life time event. March 13th can't come soon enough! Who else is going!? Message me.